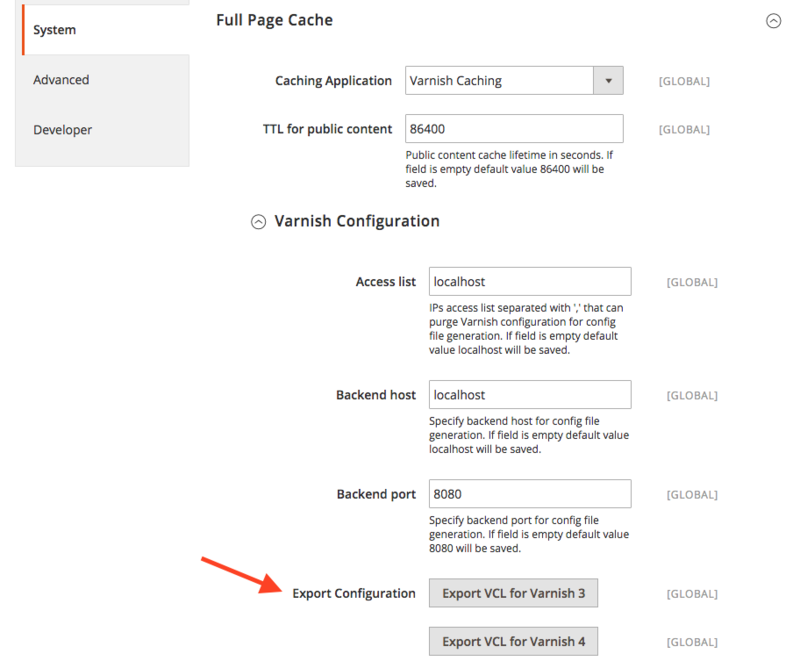 In the official documentation it says Varnish is supported out of the box and there should be an option to generate a VCL file compatible with Varnish 3 and Varnish 4. I can't find this using the admin panel or CLI. Has anyone tried to use this feature? Click one of the export buttons to create a default.vcl you can use with Varnish. Not the answer you're looking for? Browse other questions tagged admin cache magento2 performance varnish or ask your own question. Magento 2: how to make a module compatible with Varnish Cache?